The rooms were large, the view fantastic and it was so quiet, just what we needed. The apartment was spacious and well-furnished. Beds were very comfortable. The kitchen was extremely functional and well-equipped. Very clean, comfortable and well located. Plenty of room for 4 adults without getting in each other’s way. The apartment was very spacious, beds were comfy, kids love the spa & pool & husband loved the sauna. And I appreciate that Oliver offered for us to check in early. Manager, Oliver, at reception was very helpful and made sure everything was in order. Great location, well operated and friendly staff. Will go again! The apartment was beautiful & had a great view & very spacious for our family of 5. The pool & spa was wonderful & absolutely relaxing. Shops & beach were all within walking distance. Very quiet & peaceful apartment & wonderful place to forget our day to day hectic life. Overall a very comfortable apartment. Views from the balcony were very good and when the weather was fine it was nice to sit out there. The apartment was very clean and the front desk staff were very helpful. 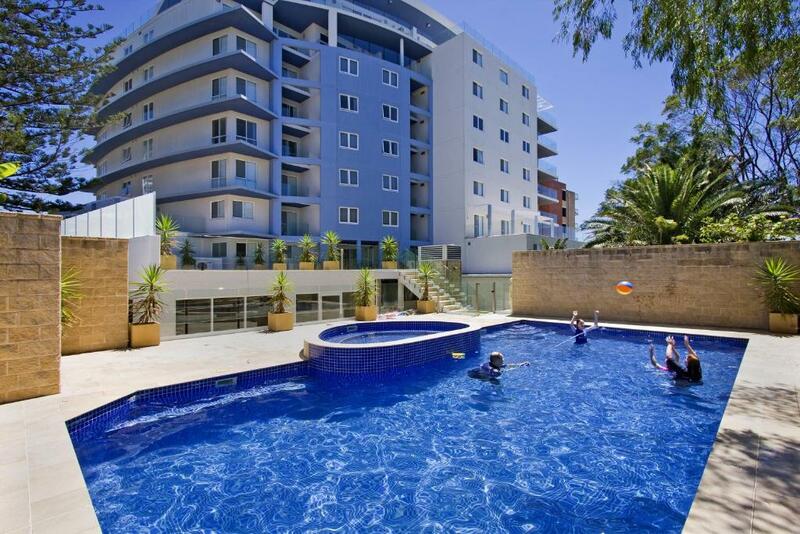 Lock in a great price for Sandy Cove Apartments – rated 8.9 by recent guests! 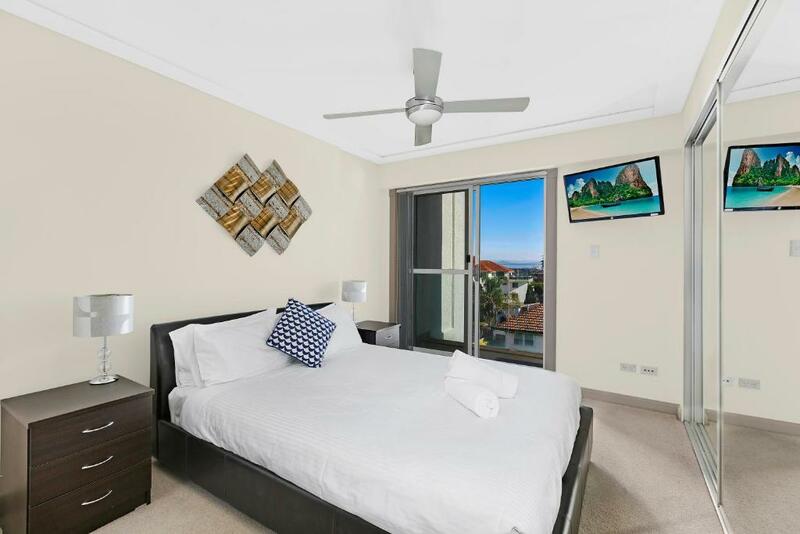 Sandy Cove Apartments This rating is a reflection of how the property compares to the industry standard when it comes to price, facilities and services available. It's based on a self-evaluation by the property. Use this rating to help choose your stay! Just 2 minutes’ walk from The Entrance Beach, Sandy Cove Apartments features apartments with a spa bath and a private balcony. Guests enjoy an on-site fitness center. Sandy Cove Apartments The Entrance are 5 minutes’ drive from Memorial Park and 10 minutes’ drive from Shelly Beach Golf Club. Newcastle Airport is a 90-minute drive away. Laundry facilities and a full kitchen with a dishwasher and microwave are standard in all apartments. 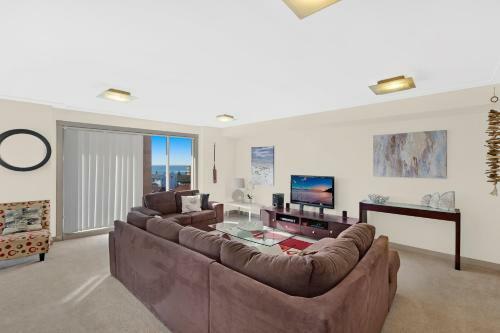 Each air-conditioned apartment has a spacious seating area with a TV and DVD player. Guests can relax in the sauna, or enjoy a walk in the tropical gardens. The hotel also offers luggage storage and free covered parking is available on site. When would you like to stay at Sandy Cove Apartments? This air-conditioned apartment features a spa bath, a private balcony and full kitchen and laundry facilities. Located on the highest floors, this spacious air-conditioned apartment features a spa bath, a private balcony with ocean views, and full kitchen and laundry facilities. These apartments have granite kitchens and both en suite and additional bathrooms. A lounge/dining area is also included. This spacious air-conditioned apartment features a private balcony and a fully equipped kitchen with stainless steel appliances. 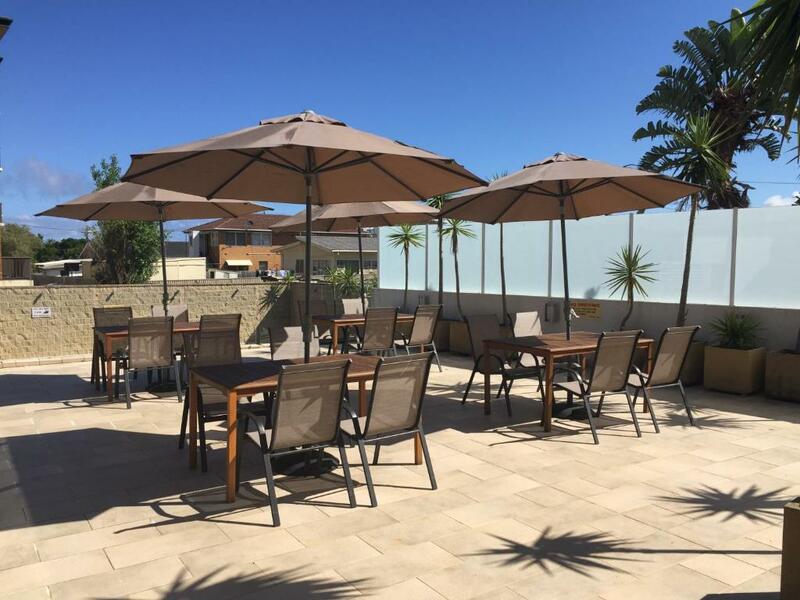 There are 2 separate living areas and laundry facilities are included. Each bedroom offers an private bathroom. The master en suite features a 1-person spa bath. Some apartments include a 2-person sofa bed. This spacious air-conditioned apartment features a spa bath, a private balcony with ocean views and full kitchen and laundry facilities. Please note that the price is based on 6 guests. There is no capacity for additional guests. This spacious air-conditioned apartment located on the eighth floor features a private balcony and a spa bath. It features a fully equipped kitchen, laundry facilities, 2 bathrooms and 3 toilets. Maximum occupancy is 8 (see Hotel Policies). 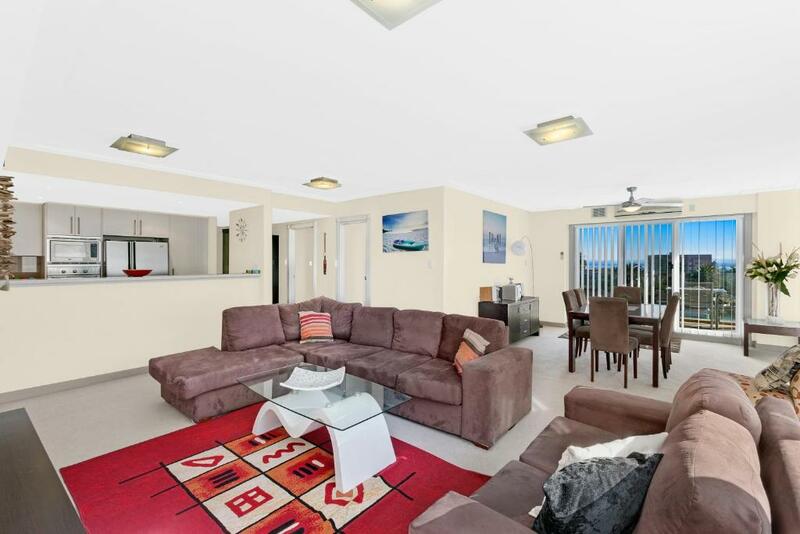 This air-conditioned apartment features a spa bath, a private balcony, full kitchen and laundry facilities. It has ocean views. 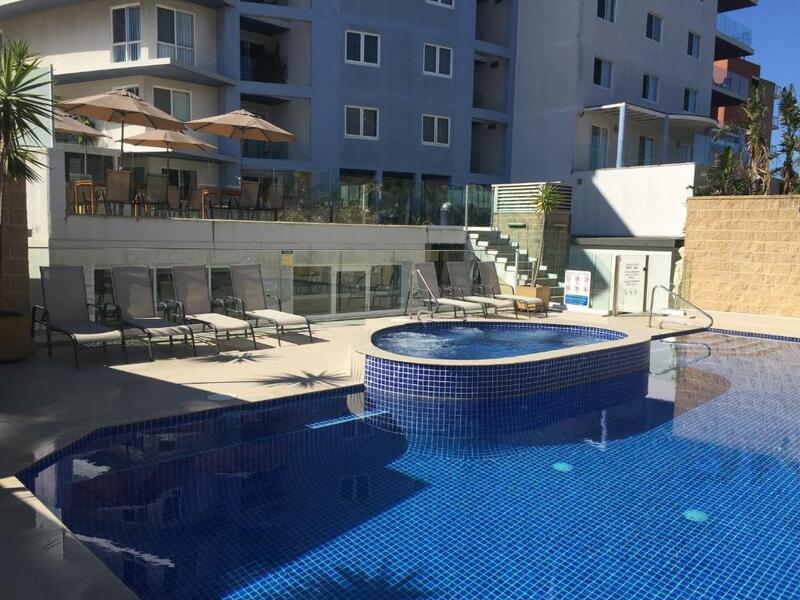 Sandy Cove Apartments at The Entrance is a recently constructed 8 storey apartment property offering luxury style accommodation on the NSW Central Coast. We have our own on-site Manager, are set amid delightful landscaped gardens and situated just a short stroll away from the Town Centre or beach. Our apartments are fully self-contained, spacious, very well appointed and designed specifically for families, couples and business travellers alike. Each of our 1, 2, 3 or 4 bedroom apartments are individually designed and offer the highest quality and standard in modern living whilst maintaining a homely feel. They each offer an outdoor balcony, many with glorious ocean and or lake views; all with a cool sea breeze and spa baths included. We also offer an on-site heated outdoor pool & spa, gymnasium, sauna and complimentary Wi-Fi With ramps and lifts from street and basement level, Sandy Cove Apartments is wheelchair friendly. The Central Coast is well known for its pristine beaches and great relaxed atmosphere. The Entrance has been the place where people have been coming since the 1800's to just "get away". 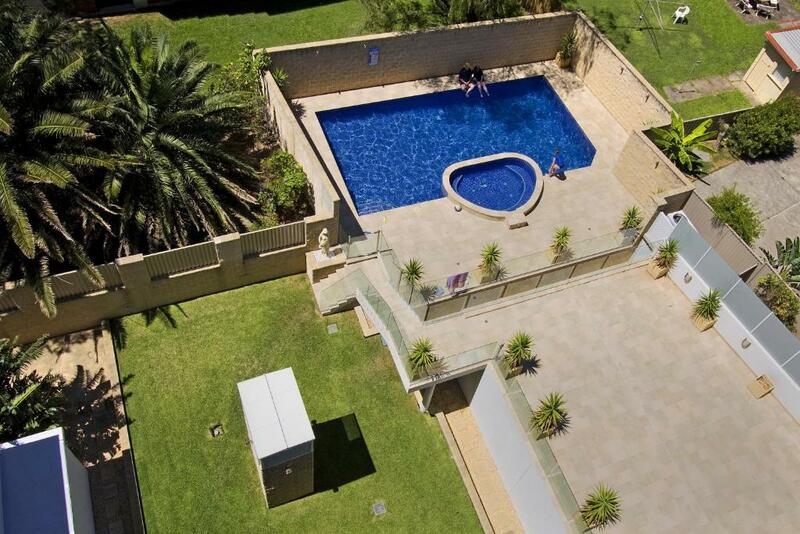 Being so close to both Newcastle and Sydney it has become the ideal holiday destination for many. As a tourist destination, there are many things to do once you arrive at The Entrance. Our spectacular waterways offer an almost endless array of activities for the young and old. Try fishing, surfing, boating, water skiing, splashing around in the ocean waves or enjoy a picnic at one of our many park areas. Wherever you wander you are never far from the beach or lakeside. Don't forget to take your bike with you and ride on the purpose built bike paths which take you on a great ride along the beautiful Tuggerah Lake. House Rules Sandy Cove Apartments takes special requests – add in the next step! One older child or adult is charged AUD 30 per person per night when using existing beds. Sandy Cove Apartments accepts these cards and reserves the right to temporarily hold an amount prior to arrival. Please note that Sandy Cove Apartments requires an AUD $500 credit card pre-authorization upon check in to cover any incidental charges. Please note that this property has a No Party Policy. All bookings must be signed in by guests over the age of 21 and this person must be staying in the apartment at all times. 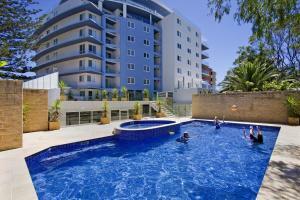 Sandy Cove Apartments reserves the right to refuse entry to bookings made by guests under the age of 21. Please note that views may vary as each apartment is different. A damage deposit of AUD 500 is required on arrival. That's about 351.82USD. This will be collected by credit card. You should be reimbursed on check-out. Your deposit will be refunded in full by credit card, subject to an inspection of the property. The garbage disposal is in a separate building on the street. We had a free upgrade, totally unexpected and welcome surprise. The apartment seemed like it had not been cleaned or maintained properly. Aircon also didn't work in the master room. Location was great and the layout and size of the unit was good for a large group. Also great views from the balcony. Overall we really enjoyed our stay. No air con In bedroom. Room was hot aircon didn’t reach the rooms, the whole complex was like a sauna, needs aircon throughout the whole thing. Car park was a joke if you have a big car you can’t park or get out of the spots..
No air con in bedrooms which made them so hot. Blind slat missing, no towel rail in main bathroom, hair still in bath tub, window closer broken.